Mobile Video Devices (MVD) has forged a new distribution partnership with professional pan, tilt, and zoom camera manufacturer PTZOptics. 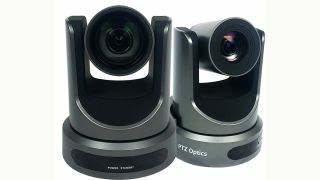 Located in Downingtown, PA, PTZOptics is best known for high-quality broadcast PTZ cameras used in the live streaming market. MVD is a value-added distributor focused on the video production and live streaming markets. MVD is the exclusive distributor for premier video capture device manufacturer Magewell, and the partnership with PTZOptics is poised to create new synergies while expanding MVD's offerings in the space. Magewell's high-quality capture cards interface with the PTZOptics cameras' HD-SDI and HDMI video outputs, commonly used for live production. "We have recommended Magewell capture cards for years now for a couple of interesting applications,” said Paul Richards, director of business development and chief streaming officer for PTZOptics. “Surprising to our team, our HD-SDI camera models are our fastest-selling models. Many of our customers are extending their HD-SDI connections and using HD-SDI capture devices from Magewell to reliably bring those signals into their computers or adapt those video signals to USB for web-based videoconferencing and software-based video production." The professional AV market is also experiencing significant growth in the live streaming market, which PTZOptics serves. Major global companies such as Google and Facebook are pushing live streaming to the forefront of their platforms, stimulating unprecedented growth. "It's amazing what has happened in the past 12 months with live streaming,” said Margaret Wilman, channel development for PTZOptics. “Businesses small and large are finding out that their customers want to consume live and on-demand video. Our products help them look professional and take video production in-house." "We're excited to add PTZOptics cameras to our distribution roster," said Darryl Spangler, president of Mobile Video Devices. "Their products complement our existing lines such as Magewell, and this partnership will enable us to offer our resellers even richer solutions for live streaming production. PTZOptics and Magewell already have a loyal following of mutual customers and technology partners, and we look forward to working closely with PTZOptics to expand their market reach."